Ready to upgrade your phone to either the iPhone 5c or 5s? Well, we’ve got some good news and some bad news. The bad news? Depending on your carrier, it might be more difficult than ever this year to upgrade your relatively recent iPhone for a brand-spanking-new model. The good news? Depending on how you upgrade this year, transitioning to next year’s new iPhone might be a breeze. It just depends on what you’re willing to pay. And the neutral-ish news? The fact that Apple has split the iPhone into two product lines will have no bearing on your ability to upgrade to a new phone—there will be no special eligibility requirements for upgrading to the more-expensive 5s. An upgrade, it turns out, is just an upgrade, even if some upgrades are more significant than others. That means you just need to worry about which phone is right for you. So why will it be so difficult to upgrade? Because two of the iPhone’s major wireless carriers—AT&T and Verizon—both announced in recent months that smartphone customers on two-year contracts (the folks who receive “subsidized prices” on their iPhones at the outset of a contract) would have to wait the full two years of the contract to be eligible to upgrade to the next-generation phone at subsidized prices. Just one thing: You don’t necessarily need to stick to that two-year contract anymore. AT&T, T-Mobile, and Verizon also introduced new programs this year to make it easier to upgrade to the newest iPhone every year. The programs work slightly differently. For example, AT&T Next wouldn’t require you to pay any money up front for the 16GB iPhone 5s, not even the $200 subsidized cost available under two-year contract. Instead, you’d pay a $27 monthly installment (on top of your data plan and other regular fees) so that by the end of the year, you’d have paid $324 instead. That’s more money to AT&T for the price of the phone, yes, but after the 12 monthly installments, you’re eligible for the upgrade: No more waiting. Otherwise, you pay monthly installments equal to 1/24th the phone’s unsubsidized price—$23.06 a month, in the case of the aforementioned 5c. While that’s costlier than what you’d pay with the two-year contract, it might prove attractive to users who want to buy an iPhone 5c or 5s halfway through its life cycle, but who might otherwise hesitate because they want to be eligible for the iPhone 6. Similarly, T-Mobile has its Jump! program, which also divides the price of the phones into 24 monthly installments, with buyers also eligible to upgrade to next year’s phone after six months. And Sprint is reportedly preparing its own One Up promotion to compete with the other carriers offering such plans. Still, some people may not want to make extra-large monthly payments, or they may feel hemmed-in by their existing contracts. (For that matter, you can still stick with two-year contracts, if that's your preference, at each major carrier except T-Mobile.) So what should they do to obtain the latest phone? • First, find out if you’re eligible to upgrade: Apple makes this easy on its website, taking users to a page that lets them find out if their AT&T, Sprint, or Verizon phone is eligible for upgrade. (Apple Store employees can also check on this if you decide you want to go stand in line for a phone.) Users can also check AT&T’s webpage, or dial *639# to receive a text message confirming eligibility; Sprint customers can check eligibility here or text “upgrade” to 1311; finally, Verizon customers can check their eligibility at this site. T-Mobile has only been selling iPhones since April, never with a contract, rendering the upgrade question moot here. • Be prepared to pay a fee. AT&T and Sprint both can charge upgrade fees of $36 a device. Verizon has a $30 upgrade fee. • What if I want to change carriers, or terminate my contract? That can be even costlier. To terminate your contract at AT&T costs a maximum $325, minus $10 for each full month of completed service. Verizon has a maximum $350 termination fee, again minus $10 per month of completed service. Sprint charges a simple early termination fee of $350. • What if I want a new iPhone and I’m not eligible for upgrade? You can always buy the device without the carrier subsidies—the 16GB iPhone 5s that starts at $200 at the wireless companies costs $649 if purchased without wireless contract; the numbers escalate to $749 and $849, respectively, for the 32GB and 64GB versions. 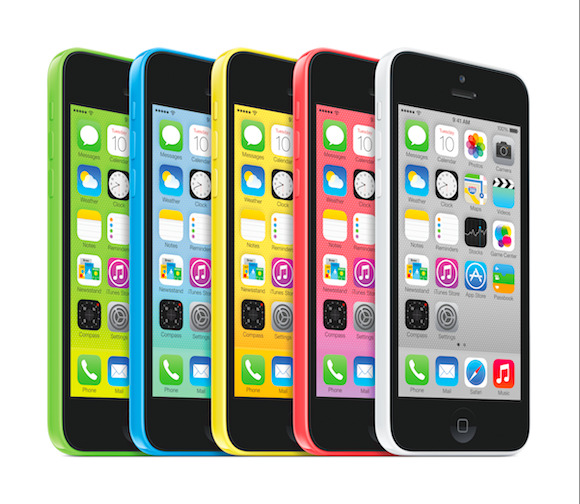 Similarly, the $100 iPhone 5c costs $549 in its unsubsidized 16GB version, and $649 for the 32GB model. What does all of this mean? Mostly that upgrading has never been easier—it’s just going to cost you a little extra.